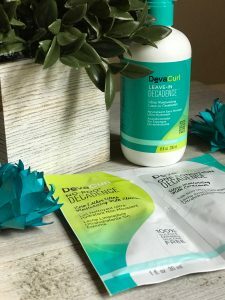 Home / Beauty / Deva Curl Leave-In Decadence Review- This girl has curly hair! Who wants to come help me? When I was a little girl all I wanted was a daughter with long pretty hair for me to comb! I thought that it would be fun…I could comb her hair and put all these pretty bows in her hair, but there was one thing I forgot to ask for…for her not to be tender headed. As a little girl, I was not allowed to be tender headed and act out the way my daughter does. Hair wash day is the worst in my home. My daughter and I hate it. She cries the entire time and deep down inside I am crying too wishing there was some hair fairy that could pop up and take over, but there isn’t. My daughter had a day at the pool and usually, she avoids getting her hair wet but this time she shocked us all and dunked her head. At that very moment as she dunking and dunking I think to myself oh Lord I am going to have to wash that when she’s done. We get home and I decided to use the Deva Curl products that I had. First I set her up over the sink and get the Deva Curl No-Poo Decadence. Let me tell you this product smells great. I pour about a silver dollar amount into my palms and begin to work it through. Now do not look for any bubbles because this product is like a co-wash, and it does not lather up at all. Its 100% sulfate, paraben, and silicone free. Once I have worked the product all the way through her hair I rinse it thoroughly. When you have curly hair it’s hard to keep moisture in the hair. When I wash my daughter’s hair I have to follow up with a good conditioner. Deva Curl has a One Condition Decadence conditioner that also smells great. This product also is 100% sulfate, paraben, and silicone free. 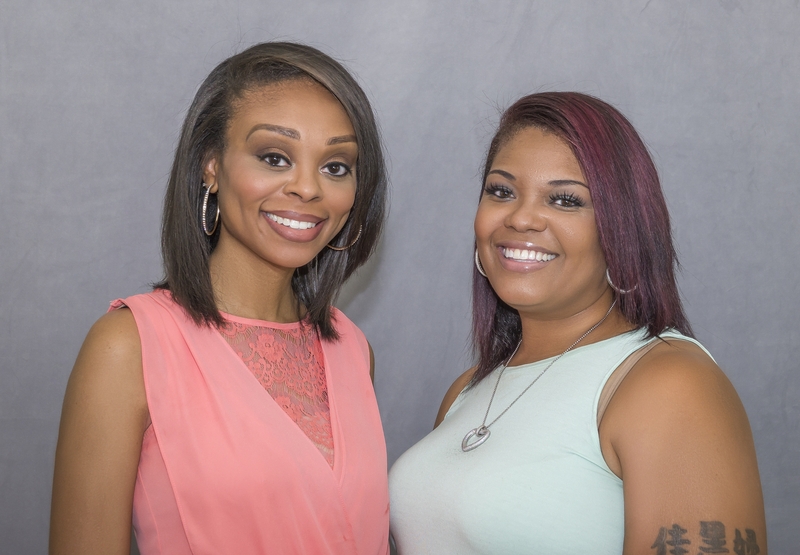 If you do not know why it’s important to be 100% sulfate, paraben, and silicone free, check out this site to explain why. I used a silver dollar amount again and worked it through her hair. This time I let it sit for about 10 minutes and then rinse with cool water. I squeeze as much access water from her hair and then towel dry. Who said having little girls would be fun? Now here comes the fun part…NOT!! 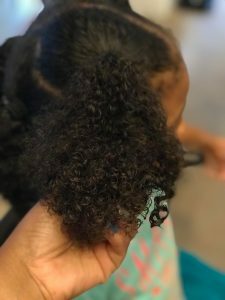 This is the part my daughter and I hate the most and that combing out her hair. Since my daughter is “SOOOOOO tender headed” I section her hair into 4’s. Take one section at a time and use Deva Curl Leave-In Decadence. Use about a quarter amount and work it through the entire section. Then twist the hair and comb through from midway and then down. As I get the tangles out I begin to untwist to comb through the rest of the sections. I repeat this with all four sections. This product also smelled really good. It was light and not too greasy. 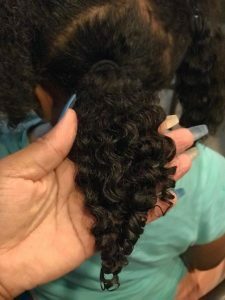 It was a great detangler and gave my daughter the perfect curls. For once hair wash day was not HORRIBLE! We definitely survived. Thank you Deva Curl! I received this product complimentary for testing purposes, but all opinions are my own. This sounds like a good brand to try! 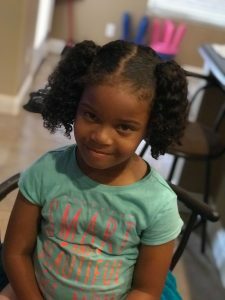 Wash day is always a struggle, but being tender-headed really adds to it lol her hair came out nice!